The Court of Appeal has found in favour of Birmingham City Council against Amey in a long running and occasionally bitter highways dispute, rejecting the company's 'ingenious new interpretation of the contract'. Amey was contracted in 2010 to carry out a 25 year PFI contract for the city, and 'all went well for the first three and a half years' the Court reports. However the partners fell out from 2014 onwards when it became clear the firm was not carrying out basic works the council felt it was obliged to. Amey Birmingham Highways Ltd (ABHL) was 'deliberately leaving the defects in selected areas untreated' the court found and had 'been carrying out works based on inaccurate inventory information'. The firm argued that certain sections of the contractual inventory data, which established the nature and condition of the network under its care, did not have to be updated under the letter of its contract and therefore had stopped updates to a computer system known as the Project Network Model (PNM). The court found: 'Clause 5 of the contract required ABHL to satisfy themselves about the extent of the project network. That requirement only makes sense if ABHL were required to maintain the roads, footways, verges, kerbs and cycle tracks which actually existed. As a result the Court of Appeal reinstated judgements from a previous indepdent adjudicator in the case, who decision Amey had initially overturned by a deput High Court Judge in 2016. "(i) That ABHL's obligations to perform the Core Investment Works and meet the requirements of Performance Standard 1 extend to the Project Network as a whole and are not limited to the RSLs as recorded in the Project Network Model contained in DRD0626 [ the initial version of Project Network Model]. (ii)	That ABHL must update the Project Network Model and maintain a Project Network Inventory which accurately reflects the actual extent of the Project Network and the Project Road. (iii)	That the Certificates of Completion for Milestones 6 to 9 inclusive be set aside, alternatively opened up, reviewed and revised and the relevant calculations performed again by reference to the actual Project Network Inventory." The judgement is also notable for the way it addresses the spirit as well as the letter of such long-term local government 'relational contracts'. 'Any relational contract of this character is likely to be of massive length, containing many infelicities and oddities. Both parties should adopt a reasonable approach in accordance with what is obviously the long-term purpose of the contract. They should not be latching onto the infelicities and oddities, in order to disrupt the project and maximise their own gain,' lord Justice Jackson noted. An Amey spokesperson said: ‘In 2010 Amey embarked on a 25-year highways contract with Birmingham City Council. Since then, we have delivered significant investment in the city’s roads, which has seen considerable improvements to the network. 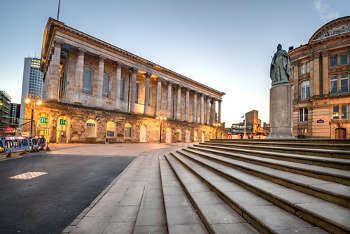 ‘We have resurfaced 500 miles of carriageway – over one-third of Birmingham’s roads – and over 400 miles of pedestrian footway. We’ve also replaced 42,000 street lights, and over half of the city’s traffic signal systems. Amey has made a significant investment to upgrade the road network in and around Birmingham. We have completed a comprehensive programme of investment as part of a major infrastructure initiative, and it is one of the most capital intensive projects in Europe. ‘We have been involved in a dispute with Birmingham City Council over the last 24 months regarding the scope of our contractual obligations in the core investment period. Unfortunately, despite the High Court having found in our favour previously the ruling was overturned by an appeal. ‘Amey is disappointed at the outcome of the case, and has been preparing for all outcomes. We are currently considering all options for next steps. We remain committed to the market and all our clients. The issues raised in this dispute were very specific to the contract and its structure.’.